Bikes, trikes, or unicycles, fixed gear or 26-speed, muddy trails or city streets – what’s your ride? 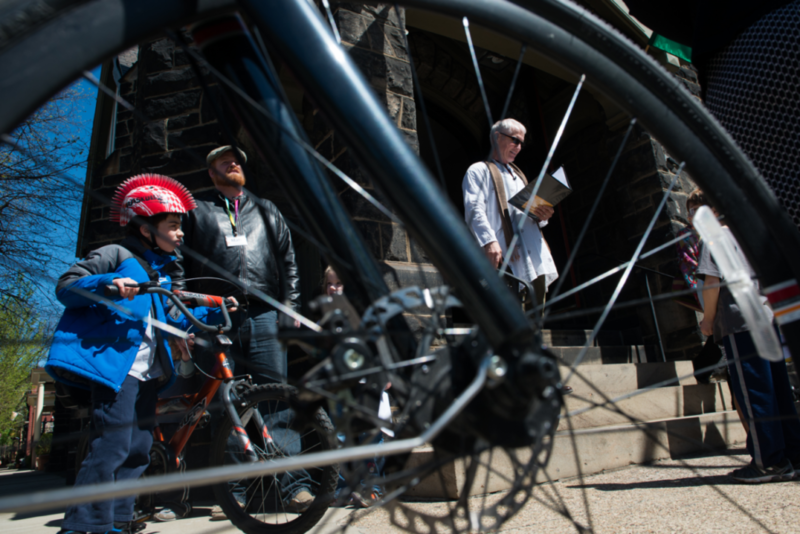 Come for our 8th annual Blessing of the Bikes, affectionately known as “Biketism” following the Earth Day worship service on Sunday, April 28. All ages and stages are welcome! Free coffee and donuts. Afterwards take a ride around Lake Elizabeth, through Allegheny Commons, or on the riverfront trail. Worship begins at 10:30am, the Biketism will be outside in front of the church at noon.